Augie Meyers - Legendary Texas musician. Augie Meyers' style and his Vox Continental has become one of music's most distinctive keyboard sounds around. Augie can be heard with the Sir Douglas Quintet, Texas Tornados, Meyers’ solo efforts as well as on landmark albums by Bob Dylan (”Time Out of Mind” and “Love and Theft”) and John Hammond (“Wicked Grin”). Echoes of the Meyers' style and sound can be heard in the music of the Doors, the Kinks, the Animals as well as the Beatles just to name a few. Rolling out of San Antonio, Texas in the early 60's, the Sir Douglas Quintet, a musical partnership formed with Doug Sahm, brought such hit tunes as "Mendocino" and "She's About a Mover." By fusing Tex-Mex, Conjunto and soulful rock together along with the power of Meyers' distinctive Vox organ, an impact that is still being felt in rock 'n' roll today. While the Sir Douglas Quintet never broke up and never succumbed to the lure of the oldies circuit, when Meyers and his musical cohorts decided they wanted to do something different, they did. That led to the formation of The Texas Tornados and a Grammy award-winning South Texas sound. Meyers worked steadily with Sahm until the kinetic guitarist/vocalist passed away in 1999. Meyers has always pursued projects that interest him as an individual and as a collaborator and has long refused to lock himself into one style of music. "Augie's my man. He's like an intellectual who goes fishing using bookworms. Seriously though, he's the shining example of a musician, Vox player or otherwise, who can break the code. His playing speaks volumes. Speaks in tongue actually. He can bring a song, certainly any one of mine, into the real world. I've loved his playing going all the way back to the Sir Doug days when he was featured and dominant. What makes him so great is that internally speaking, he's the master of syncopation and timing. And this is something that cannot be taught. If you need someone to get you through the shipping lanes and there's no detours, Augie will get you right straight through….Augie's your man." 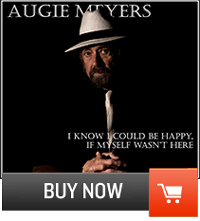 "Augie is one of the gems of the universe and is one of the greatest musicians that I've had the honor of working with. His musical instincts are impeccable, he's just a natural." 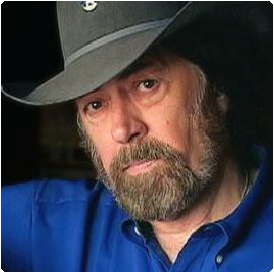 South Texas Soul: The San Antonio Sound – Augie Meyers, Doug Sahm and the history and influence of South Texas on popular music of today. Documentary filmmaker Tracy Ready examines the influence of German, Polish and Irish immigrants in South Texas on popular music styles including Country, Tejano, Blues and Rock and Roll, from a unique perspective.